The 2018 games are underway in Pyeongchang. It was a formidable challenge to create facilities and accommodations for nearly three thousand athletes and over three million spectators. 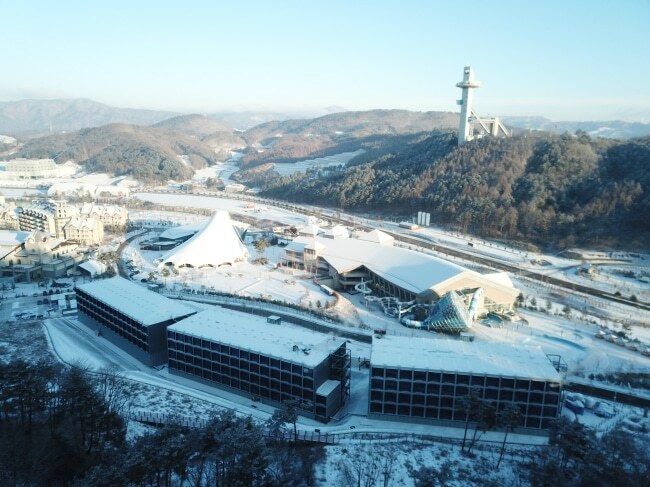 To meet this challenge, the Olympic organizers in South Korea used modular construction to create a modular hotel. What’s noteworthy about this construction project is that 100 percent of the building was constructed off-site via modular construction. Compared to the time it would take to build a traditional concrete building of the same scope, the construction period for the Media Residence Hotel was 18 months shorter. Since each room is a relocatable building unit, it will be moved to a different venue and recycled as another hotel or dormitory. All in all, POSCO supplied 1,405 tons of steel for the entire construction project. Designing large-scale facilities that can be built quickly and relocated after the games is a hallmark of Olympic planners. In fact, Boston envisioned a relocatable stadium that could seat 60,000 people as noted in this post and this article. On behalf of all of us at Triumph Modular – we send best wishes to all the athletes from around the world, and wave the American Flag for the Team USA.